Ask any Tarot reader what they found difficult when they were learning their craft, and ‘court cards’ will be high on the list. When are they people? When do they represent an attitude or way of behaving? When do they signal an event? Where’s the guide to help answer these questions? Well, there’s no one system but professional tarot teacher and astrologer, Sara Gilbert, puts astrology at the heart of how she interprets the Tarot Court. Here I talk with Sara about some of the things she covers in her class, Decoding the energies of the Tarot Court, which is available for download to your device or stored on a DVD or USB flash drive. Click here for information. LM: Why do you think people find the court cards difficult to interpret? SG: I think they find them challenging because there are three completely different way of interpreting court cards … they can represent an actual person in the client’s life, a characteristic that would be useful for them to adopt, or a situation. It’s hard for them to trust their intuition or learn to ask the right questions to help them find the right track. LM: What led you to apply aspects of astrology to the court cards? SG: I guess I had always been interested in basic astrology and understood the elemental and personality traits of the different zodiac signs. So when I made the connection between the elements and the suits in the tarot, it was only natural to start making comparisons with astrology. LM: Which aspects of astrology do you find most helpful in interpreting the court cards? 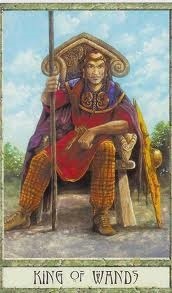 SG: Understanding the structure of the zodiac signs is at the root of using them to interpret the tarot court. Knowing there are four elements represented in the signs, three signs to each element and that each element has a cardinal or initiating sign, a fixed sign and a mutable or more changeable sign. It makes sense to apply this to the structure of the King, Queen and Knight in each suit of the tarot and it’s easy to see that this is the origin of the traditional tarot personalities. The Pages are more like the initial start of an idea around the suit they represent. LM: Can you give us an example of how you would apply zodiac signs to court cards? SG: I associate the sign of Aries with the King of Wands, so if that card shows up in a reading, I would ask the client if there’s anyone in their life born between March 20 and April 20. If this isn’t relevant, I might suggest they could put their own needs first in a certain situation, in other words act more like an Aries would. LM: How do you build the rank of a court card into your astrological approach? SG: I believe the energy of the Kings resonates closely with the Cardinal signs in the astrology system – they set the vision, lead and inspire others to follow their direction. The Queens vibrate in tune with the Fixed signs, they work to make structure and form out of the direction set by the Kings, maintain the balance and manage the situation. The Knights are far more volatile and flexible, they take direction from the Kings and Queens and then duck and weave to get the task done. The Pages have yet to develop their personalities so they are too immature to have a Zodiac sign allocated to them. For me they’re either a child or young person with the nature of their element, or a small seed of that element in a situation which needs to be nurtured and developed in order to grow into a new beginning as an Ace. LM: Do some of these aspects apply across other esoteric systems? SG: Absolutely, the Kabbalah Tree of Life is said to exist simultaneously in four worlds, representing the four elemental states. It consists of three pillars. God sits at the top of a unified and balanced central pillar, with an active masculine pillar called Mercy on his right and a formative feminine pillar called Severity on his left. The Golden Dawn associated the Kings with the top of the masculine pillar and the Queens with the top of the feminine pillar. Interestingly they placed the Knights lower down at the centre of the unified pillar directly under God and the Pages right at the base of the pillar with their feet on the ground. Thus both the Knights and the Pages may not necessarily have to be either male or female as they sit on the unified pillar. The four elements and their concepts of masculine and feminine qualities seem to be common across many other esoteric systems such as palmistry, chinese astrology, feng shui and numerology. LM: I know you use court cards to help with timing when you’re reading for clients. How does that work? SG: Well the zodiac signs are already associated with periods of approximately a month throughout the year, so by linking them to the court cards you have quite a useful timing mechanism. The Pages can be used to indicate the season of the year that fits best with their element. Pentacles for Spring, Wands for Summer, Cups for Autumn and Swords for Winter. If I’m adding together the numbers on the cards to give me a day of the month or a number of days, it’s a bit tricky as there is no number on the cards. 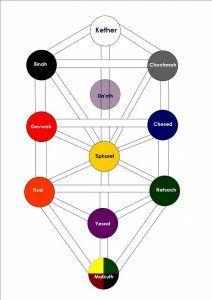 I just count them as the number of the sephira or energy sphere the Golden Dawn assigned to them on the Tree of Life – 2 for Kings, 3 for Queens, 6 for Knights and 10 for Pages. LM: What would you say if you had to give people three pieces of advice to help them improve their understanding of the court cards? SG: I would advise them not be frightened to ask questions of the client to help pinpoint which interpretation to use. Just have a go at interpreting them in different ways, trust your intuition and build up a data bank of what they mean for you. Remember… practice makes perfect and the more you work with them the easier it will get. Finally learn all you can about astrology and the zodiac sign personality characteristics, it’s a great help! Sara Gilbert is a Professional member of the Tarot Guild of Australia who practises through her business Life Spirit Connections in Melbourne. She is also a member of the Association of Professional Astrologers and holds the Practitioners Diploma in Astrology from the Federation of Australian Astrologers. She has a special interest in evolutionary astrology and holds Level 2 Apprentice status with Steven Forrest in this field, which focuses on the moon’s nodes and past lives. Sara decodes the unique emotional patterns in your life, enabling you to become at home inside yourself and find your special place in the world. She is able to draw on wisdom from multi-faceted knowledge of esoteric systems: astrology, tarot, myth, goddess energy, the tree of life, numerology, palmistry and hand analysis. This enables a richer understanding, as each tool reinforces your life design through a slightly different lens. She works with clients through private consultation or a series of courses and workshops. Sara regularly reads at festivals, parties, ladies nights and corporate events, and has worked in most states throughout Australia. For more information visit www.lifespiritconnections.com.au and www.facebook.com/sara.gilbert3. Try this spread and let us know how you found it. 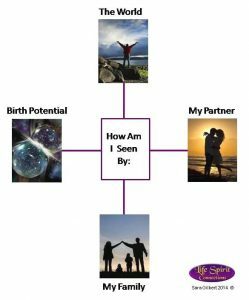 Did the birth potential card feel right for you? Did the other three cards pinpoint something you know (or suspect) about yourself in relation to others? We’d love to hear from you!